We’re almost to the Top 5 of this Top 100 prospect countdown. Next up could be the Dodgers’ catcher of the future. Or third baseman. We’ll see how he develops. Summary: When the Dodgers drafted Smith, it was thought that he was going to be Austin Barnes 2.0. 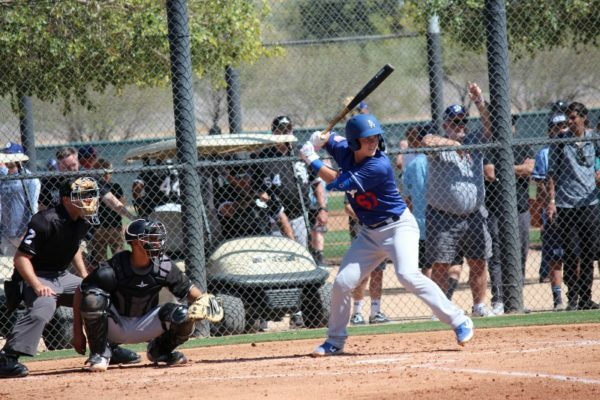 He has been anything but, as the 24-year-old has developed into one of the best power-hitting catchers in the minors. He hit a career-high 20 home runs in 2018 and has seen his isolated power increase in each of his three professional seasons. With a rise in power has come a rise in strikeout rate. Luckily for him, he walks a fair amount in an attempt to offset the strikeouts. 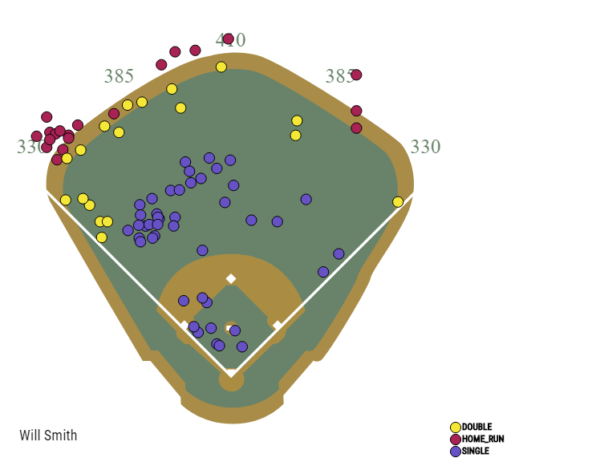 At the plate, he profiles more like 2018 Gary Sanchez than a more contact-oriented guy like Barnes. Smith has gone from a guy who has good bat-to-ball skills to a guy who will sell out for power. His setup is pretty straightforward and his swing compact, but his load and leg kick are quite noticeable — and that’s how he generates power. He uncoils and his swing path produces a lot of fly balls. He has above-average bat speed, thanks to some quick hands. Most of his home runs come to the pull side, but he has shown the ability to go over the fence the other way on occasion. 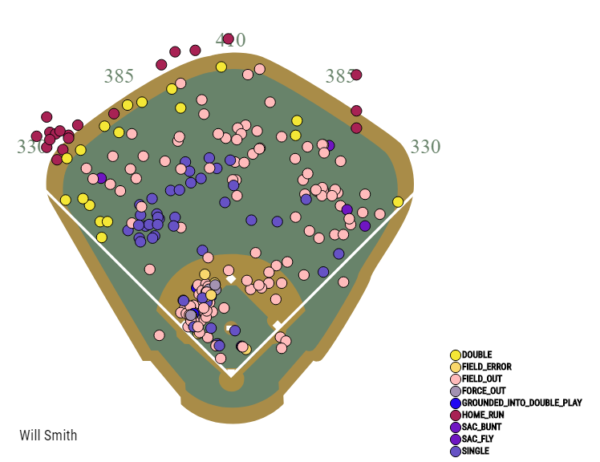 Defensively, Smith is one of the minor’s best behind the plate. He uses his athleticism to move quickly behind the plate and block pitches in the dirt. He has a strong throwing arm with pop times in the sub-1.9 second area. And, like with every Dodger catcher, he is adept at framing. He’s the best in the system at it and it will help him once he gets to the next level. At third base, he has enough range and quickness to handle the position, as well as plenty of arm. If he had to play there full-time, he could handle it. And with his change in hitting approach, he might have the power to do it, if the Dodgers think they have better options at catcher in the future. He’s an above-average runner now. That will degrade over time, but for now, he’s an asset on the base paths. Smith could be a first-division starter with his powerful approach at the plate and his plus-defense behind it. At worst, he’s a backup and/or platoon half, which could be dependent on how well he hits for average (and walks) in the majors. He’ll begin the season in Triple-A Oklahoma City with a chance to make his MLB debut later this summer. He isn’t on the 40-man roster, but will need to be protected this winter.